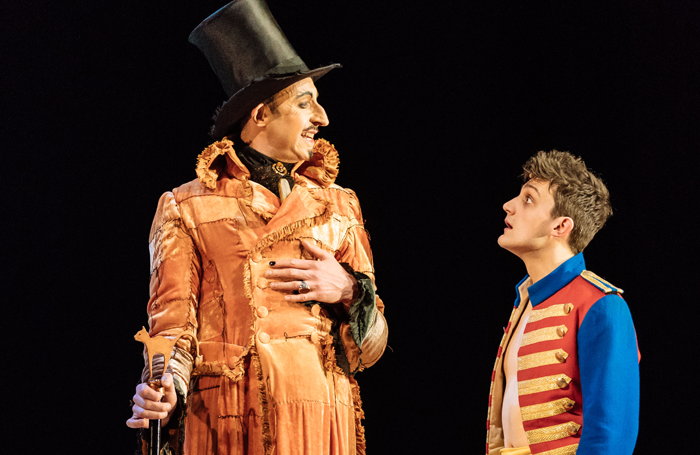 As theatres around the country sparkle up with sequins and dial up their dames for panto season, Rufus Norris’ National turns to a fairytale of a very different sort. Pinocchio, the story first penned by Italian children’s author Carlo Collodi in 1883, is certainly no Cinderella. Collodi’s tale, familiar to most through Disney’s 1940 animation, follows the exploits of a mendacious young puppet, who dreams of becoming a real boy. 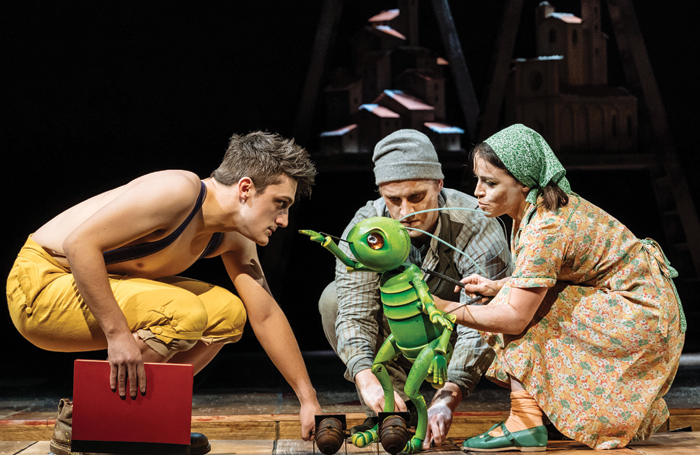 The National’s stage adaptation is written by Dennis Kelly, directed by Cursed Child helmsman John Tiffany, and stars Joe Idris-Roberts as the eponymous puppet. It remains in rep in the Lyttelton until April 10. Tiffany’s production is the first time Pinocchio has made it from page to stage with the blessing of Disney, and in something of a coup, the animation studio has allowed the use of several original songs from the movie, including the iconic When You Wish Upon a Star. But can the RuNo regime end 2017 on a high with a festive fairytale for everyone? Does puppet master Tiffany pull the strings with style, or is Pinocchio a mess of crossed wires and tangled strings? Do the critics warm to this precocious puppet, or is it all a bit wooden? Pinocchio is really quite a bizarre story: a carpenter crafts a puppet, who is given life by a fairy, but is desperate to become a real boy, and goes on several strange adventures with his cricket sidekick to get there, his nose growing whenever he lies. How does Tiffany realise this fantastic, episodic fable on stage? Tiffany’s big concept is met with mixed reviews, then, some finding it a dark and dangerous delight, others wondering what on earth the National thinks children these days like. Most critics agree, though, that his staging looks spectacular at least. The design is “lavish” and “beautifully proportioned” according to Paul Taylor (Independent, ★★★★), “spectacular and magical” according to Ann Treneman (Times, ★★★★), and is “simple and sumptuous at once” according to Shuttleworth. And what about the music? How well do those classic Disney tunes work on stage? “This is the first time that the Disney organisation has given its blessing to a stage version of the 1940 movie and Martin Lowe as music supervisor does some lovely, ingenious work, with his orchestration and embellishments, in stringing out, the handful of ridiculously catchy songs that comprise the score,” explains Taylor. Tiffany’s cast is a mixture of performers and puppeteers. 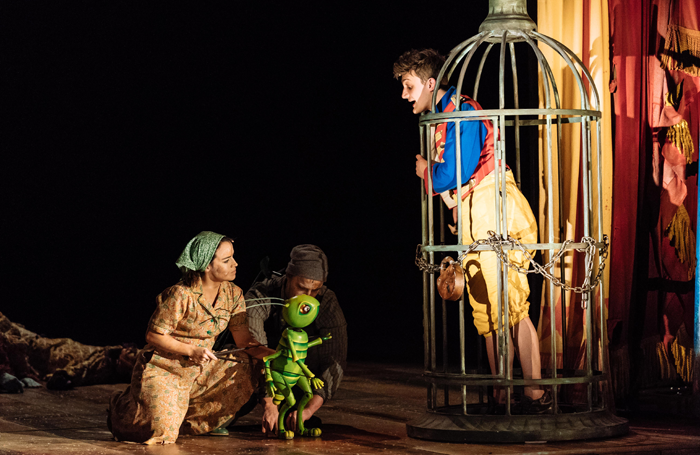 Alongside Joe Idris-Roberts’ eponymous hero are David Langham’s Fox, Annette McLaughlin’s Blue Fairy, Audrey Brisson’s Jiminy Cricket, and Mark Hadfield’s puppet-maker Geppetto. “I was very fond of Audrey Brisson’s OCD Jiminy Cricket, with her constant worries about bacteria and germs, and David Langham is excellently oily and terrifying as The Fox, catching a perfect tone of menace and madness. Hadfield anchors the whole thing with his warmth and his sense of loss,” adds Crompton. 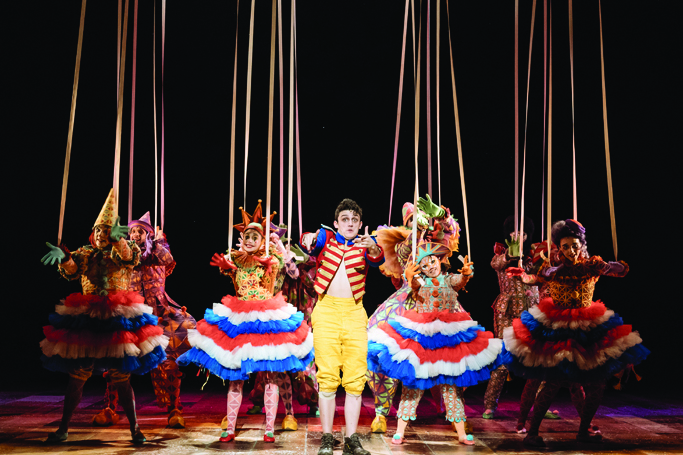 Pinocchio – is it any good? 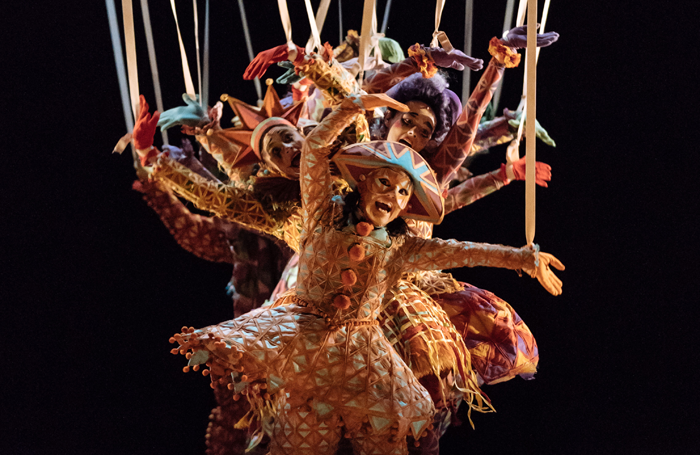 Kelly and Tiffany’s vision of Pinocchio is far closer to Collodi’s 1883 story than the beloved 1940 Disney adaptation: it’s deeper, darker, and wilder, but it’s also spectacular, inhabited by larger-than-life puppets, stuffed with coups-de-theatre, and accompanied by a classic cartoon score. Just don’t go in expecting family-friendly, festive fuzziness. A bundle of three-star reviews, with some four-star and two-star write-ups thrown in as well, points to a production that’s far from the worst show to open in the National this year, but is not quite the Christmas present Norris would have hoped for.